Cardinal Manufacturing designs and builds its roll forming machines and associated equipment with the intent of being able to accomplish as many fabrication operations as the customer requires in one, continuously-moving process. 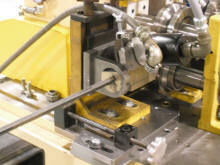 Some of these operations include punching (both uniform and non-uniform patterns) and custom-shaped end cutting. 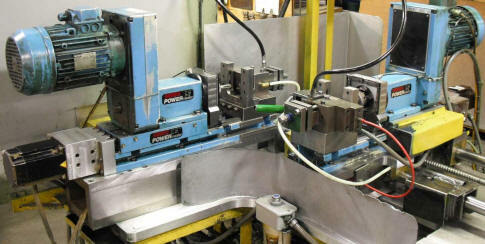 Our equipment is built with the latest technology to hold the tightest of tolerances while keeping the line speed up. By performing as many operations as possible in-line, the speed at which parts can be produced is increased, and the cost is reduced. Our high tech positioning equipment, such as fiber optic systems and line encoders, coupled with our rigorous quality assurance system ensures the precision and accuracy of the final product. Cardinal's plant houses a wide assortment of roll-forming equipment to handle a variety of materials in a broad range of dimensions. If a part can't be produced using conventional processes on standard equipment, Cardinal Manufacturing has the capacity to build a a wide variety of custom machinery to accommodate customers' needs, ensuring the part will be produced to exact specifications. customer satisfaction will be first priority.